It's officially 2015! ...and I haven't posted in a while so I thought I'd do an update on how things are going. I had planned (and started writing) an aliexpress haul video from November (when they have their super 11.11 sale) but since things come at varying times and also since I'm using the things that come in costests I decided to just write about what I got as and when I use it. 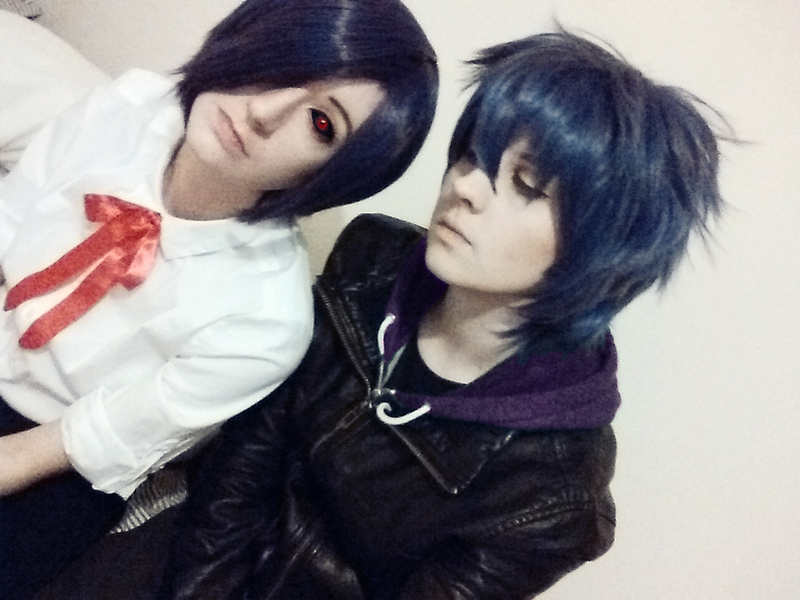 I placed my order originally to get myself a Kaneki Ken hoodie as I'd like to cosplay him at some point this year. 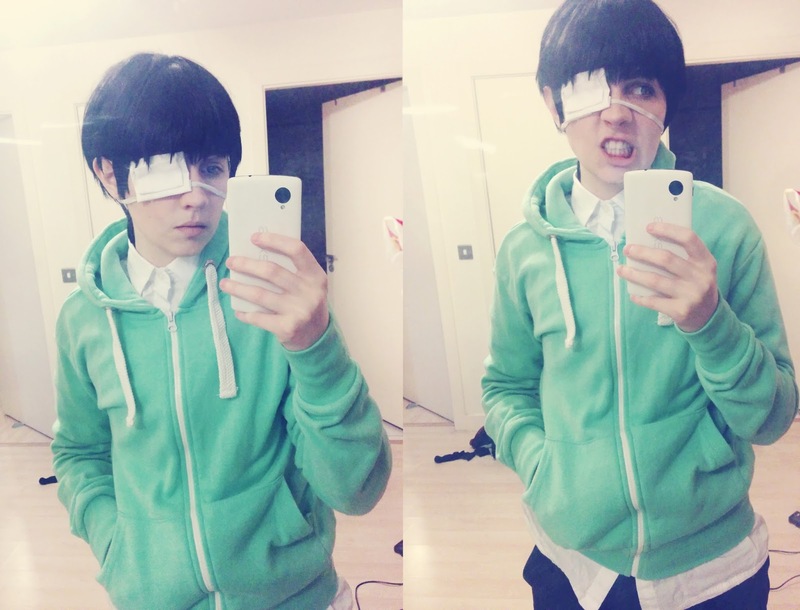 Above are my previous costests with what I had lying around with an eyepatch I'd made. 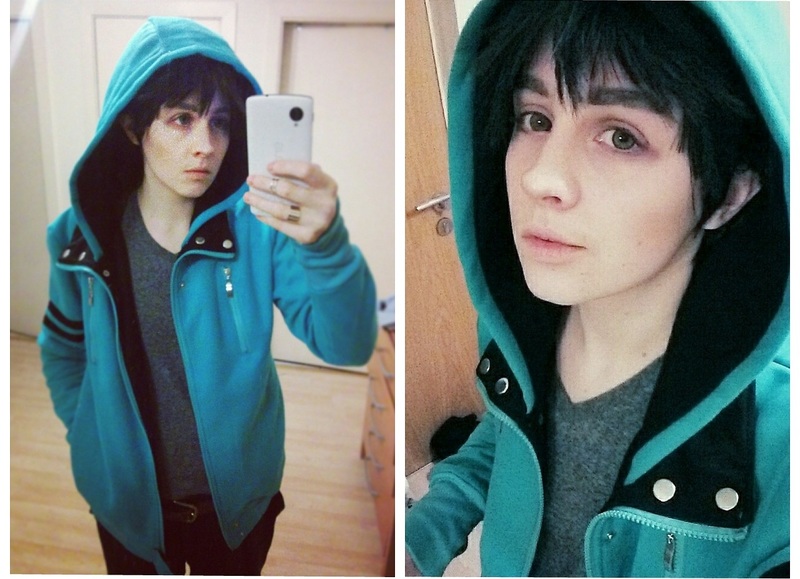 I've yet to do another costest using the hoodie but I have some random other shots that show how it looks below! 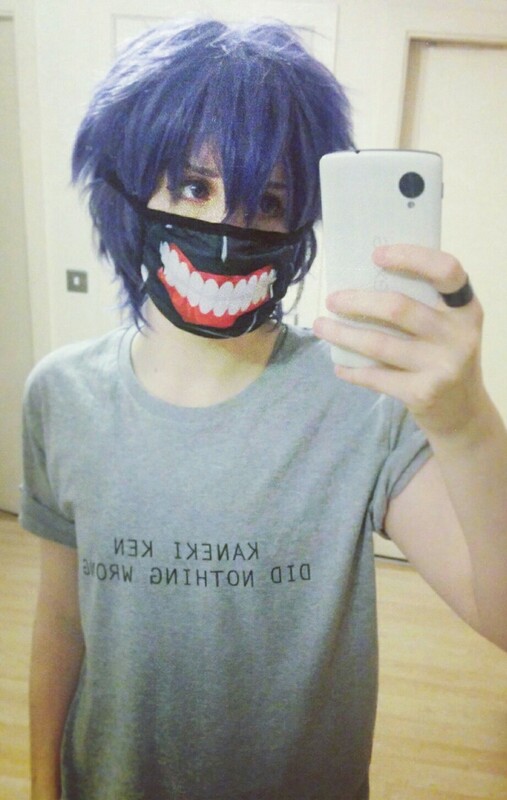 Theres a lot of kaneki hoodies to chose from on ali, many were discounted by half but in the end I decided to go with this one [x] which wasn't on sale (of course) and is I think one of the most expensive (40USD roughly) I was a bit apprehensive about it since it was the most expensive thing in my haul but outside the realm of aliexpress its really cheap for a good quality hoodie. In the end I am sooo super glad I got this one- the quality and details on it are really amazing. 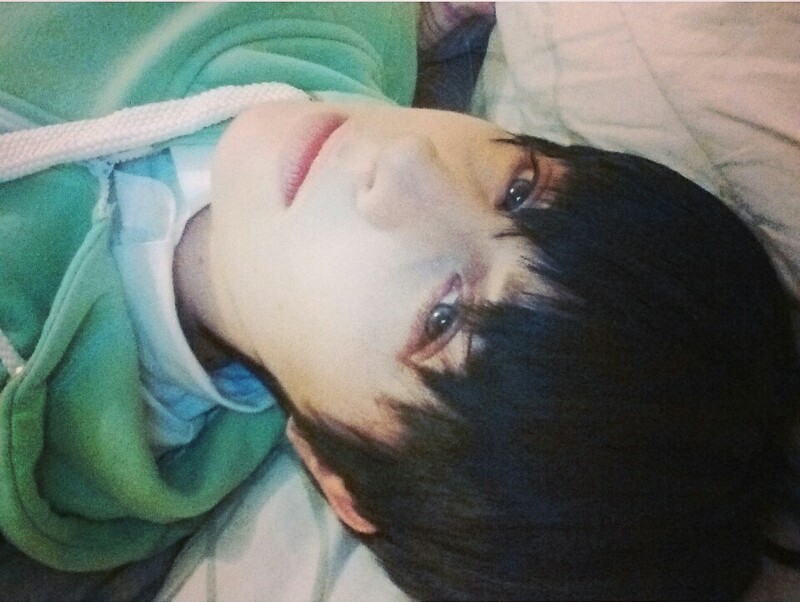 I'd 100% reccomend this hoodie to anyone looking for a Kaneki one, I have lived in it since I got it! I got it in a size M (I'm a UK size 10) and it fits perfectly. 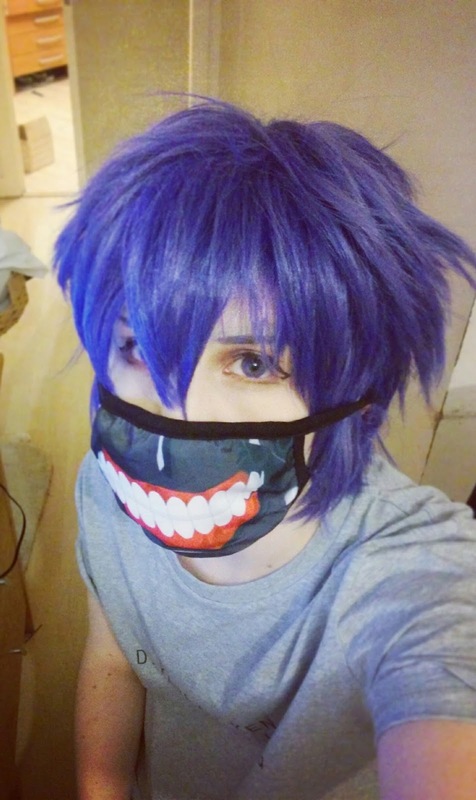 I should also mention I got a free Kaneki dust mask with it, which you can see below on my Ayato test. I think this alone costs around £5 so its pretty awesome they put it in for free! 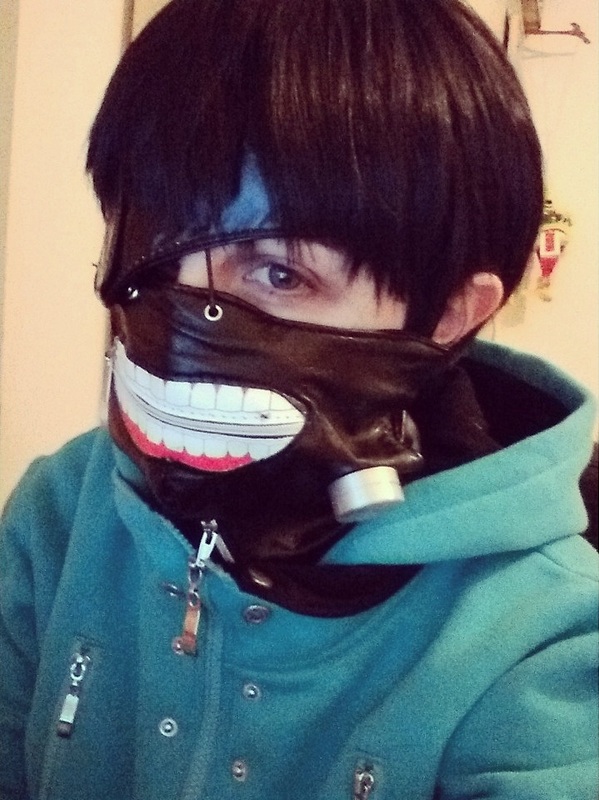 I could do Kaneki cosplay just with the hoodie alone but I decided to also order his mask and have a go at altering it so it looks a little better. Many online look cheap and aren't the most accurate looking things but I thought it would make a good base mask to fix. I got this one [x] as seen in the first image. 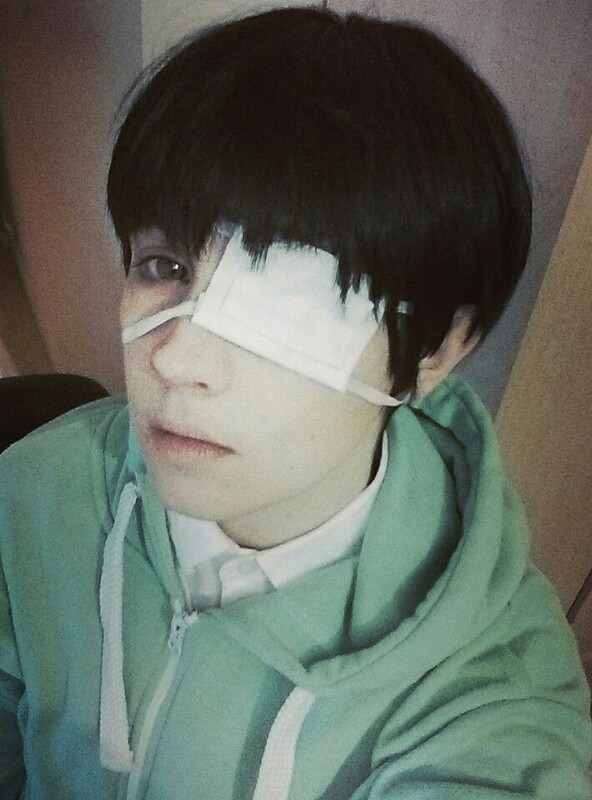 The quality isn't great and my zip is a little dodgy but it should work out ok. I should also mention its pretty big and I'd need to probably cut mine open entirely to resize it. 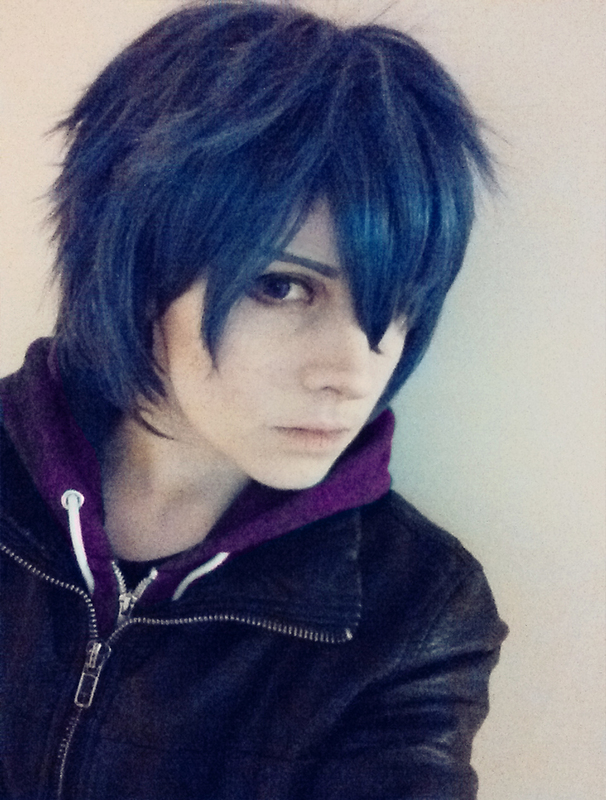 This mask was most definitely not fitted by Uta aha. I'll post more pictures of when I do decide to start fixing it up! These are my most recent costests using it. As you can see it looks pretty blue in these images but in real life its most definitely purple (closer to the image directly below, even then though its still much more muted purple) At first I was kind of annoyed as it doesn't really look like the one sold on the site but in the end it photographs ok and doesn't come up too purple. One main postive is the style of it, I barely had to do anything to it and it looks great. Thats everything for now, I think I will be wearing these to Kitacon in July/Aug so there may not be an update for a loooong time on these since I have other stuff in the works but I'll keep you posted!